What Are The Advantages Of Laser Hair Removal With The Vectus Laser? Spring is a great time to be thinking about laser hair removal — right before summer tank tops, shorts, and bathing suits. Think of all the time that you can save by not having to wax, shave, or pluck! Laser Hair Removal is a noninvasive treatment that safely removes unwanted hair without damaging the skin. 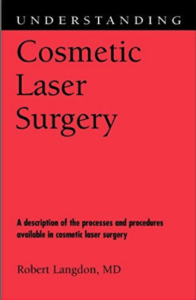 At The Langdon Center in Guilford, Connecticut, we use the new Vectus diode laser by Palomar for Laser Hair Removal. The Vectus laser is safe on most skin types and skin colors. The Vectus uses the advanced Skintel™ device to objectively assess the patient’s skin pigment level. The SkinTel connects by WiFi to send the “Melanin Index” data to the Vectus laser, whose computer calculates the best settings to use for hair removal treatment. Skintel™ is capable of detecting pigment that may not yet be fully visible (such as from a recent tan or sunburn), thus providing you with more predictable and safe results than with many other laser hair removal systems. Skintel™ is the only FDA-approved melanin reader available. The Vectus is the fastest of all hair removal lasers because it has the largest “spot size” (1 inch by 2 inches). It is also the most comfortable because lower power settings can effectively be used with such a large surface area of treatment. 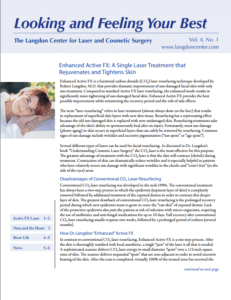 To learn more about Laser Hair Removal or to schedule your consultation with Board-Certified Cosmetic Surgeon Dr. Langdon, please fill out the form on this page or call The Langdon Center at 203-745-0340. We look forward to working with you! The Langdon Center serves patients in the Guilford & New Haven,CT areas.